Sim racing has been repeatedly cited by numerous professional race car drivers, including Carl Edwards and Denny Hamlin, as an invaluable training tool that prepares them for real-life action on the track. 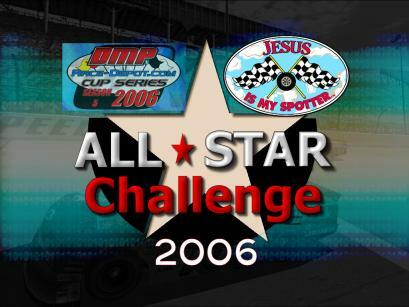 Jesus Is My Spotter has sponsored several of these "virtual" races for Dale Earnhardt Jr.'s online racing league (www.dmp-racing.com), including the DMP All Star Challenge. Click on the triangular play button below to view our TV commercial. QuickTime is required to view this clip. If you don't already have it, download it at: http://www.apple.com/quicktime/download/win.html. The ad below has been featured in NASCAR Scene and Christian MotorSports Illustrated.